One thing 2018 was great for was real estate. Let’s chat about it. 1. Inventory remained historically low pretty much all year. 2. 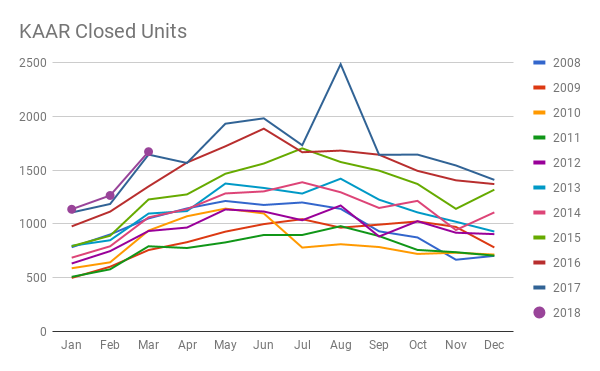 Closings were slightly historically higher than 2017, but a lot more seasonally adjusted. 4. Interest rates went up slightly, but it didn’t appear to impact home sales. 5. All in all, 2018 was almost a carbon copy of 2017. I expect a lot more upheaval in 2019, especially depending on the length of the government shutdown and what the Fed decides to do with interest rates. It's still a strong sellers market. Don't worry, buyers, this too shall pass. I have 99 problems, and only 1 listing. Seriously, there are no listings and that's making a lot of problems. The Fed bumped rates, but are still pretty low. However, they are saying they are going to get more aggressive raising them as the year goes on. Like I said, buyers, this too, shall pass. 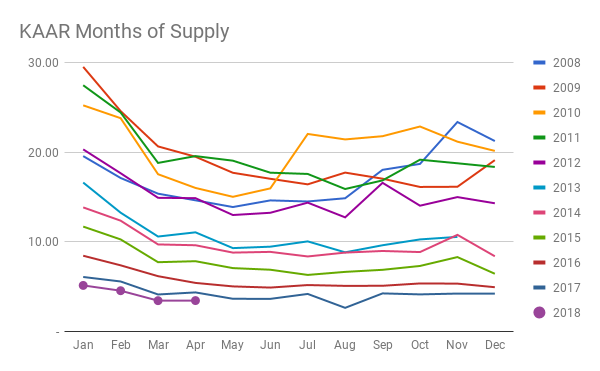 Prices are up across the board: supply, demand. You know the drill. Appraisers haven't quite gotten the supply/demand memo, and even though the market will bear higher prices, some appraisers are saying no. All I know at this point is to expect the unexpected and anything goes. Should be a pretty fun Spring! 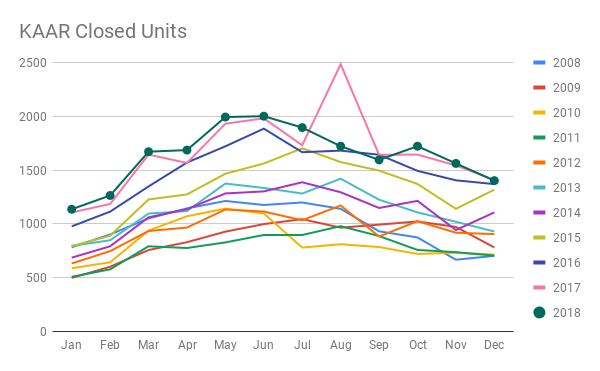 Sales were literally almost off the chart in June. I'm going to need a bigger chart. Inventory was only slightly down month over month and active listings are flat, so homeowners definitely started listing their homes again in June, which is a good thing. Rates are still under 4% and THDA money is still available in several Knoxville area zip codes (37914, 37917, 37912, 37921, among others). 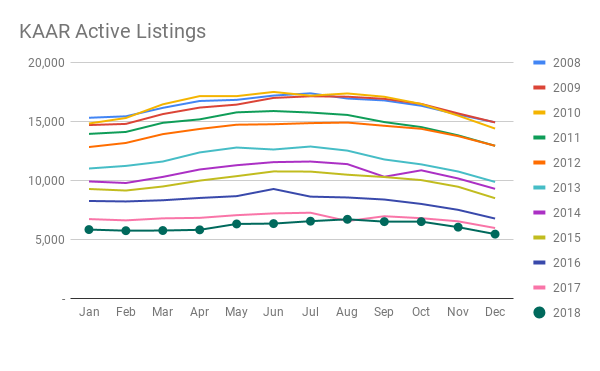 Multiple offers are the new black, and they are causing prices to go up. Am I the only one on the edge of my seat about how the second half of this year is going to pan out? Will sales and prices keep going up? Will rates stay down? Will we finally find out who shot J.R.? Stay tuned!